To make the burgers, you could just as easily use 1 ½ lbs of ground pork with no beef – it just depends on what flavor you like. And if you don’t have any ham, there’s always a homemade fix for that! 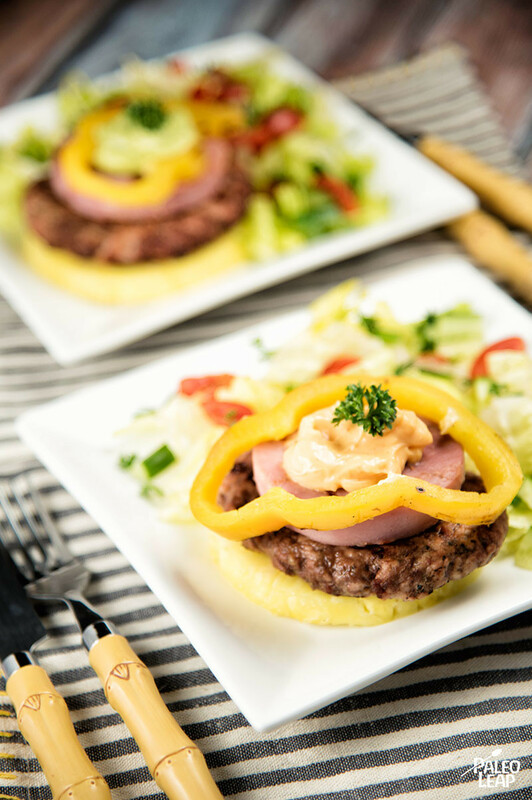 These burgers are perfect for a cookout where you might be wondering what to do without a bun – the big pile of toppings gives you a great presentation and looks so good on top of the burger that any thoughts of missing bread fade into the background. 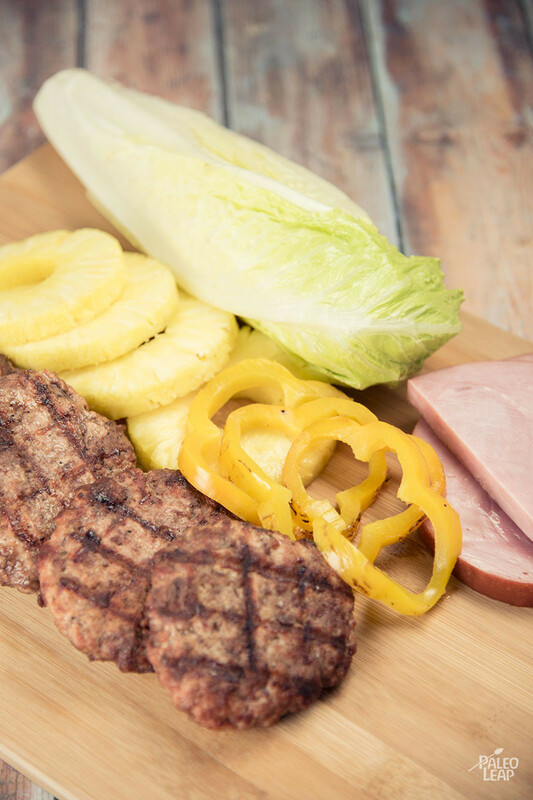 Add some condiments – spicy mayo or fresh guacamole would be perfect – and maybe a simple fresh salad for an easy meal that you’ll be dying to sink your teeth into.